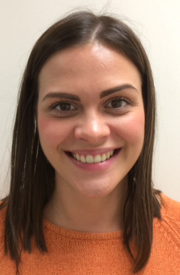 Mr Winston has ten years experience of transforming his patients smiles and has graduated with a postgraduate Master of Science degree in orthodontics. He has also travelled the world to learn from the leading educators in the field and this has provided him with the skill and experience to treat his patient to a very high standard. 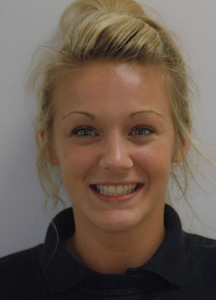 Please look at our orthodontic smile gallery and judge the results for yourself! 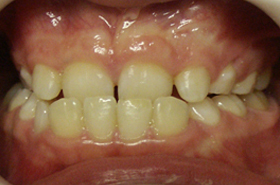 This spectacular transformation was done using rapid braces and took less than a year. 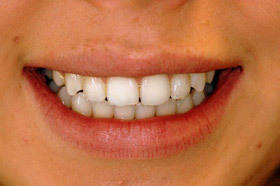 You can see that her canine teeth were very far out of line but Mr Winston used the latest brace techniques to align them very quickly and comfortably. 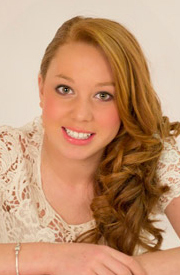 Elise was so pleased with her result and she was such a great patient that we sent her for a make over and photo shoot after the braces were removed. 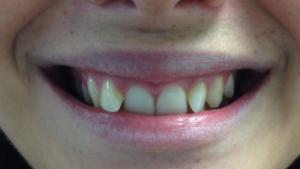 Patient Holly – This 24 year old patient came to see us because she was unhappy with her upper front teeth. 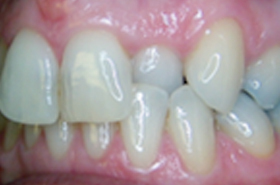 We fixed them in about 9 months using fixed clear braces. 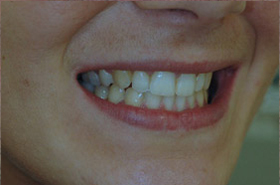 She is delighted with the result and we are now carrying out some tooth whitening for her. 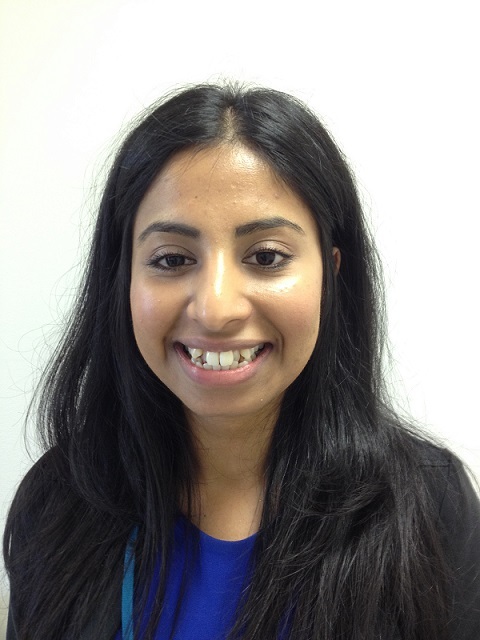 We treat many cases like this in people who may have missed out on braces when they were younger or even had orthodontics previously but were not entirely satisfied with the results. 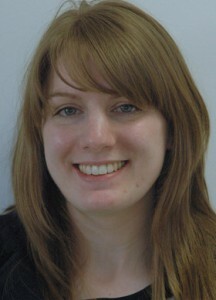 At Mossley Dental Care Mr Winston will ensure that you are satisfied with your treatment before the braces are removed. 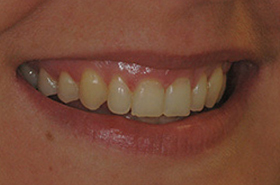 This patient came to us unhappy with her crooked/overlapping teeth and we treated her very quickly with modern braces. 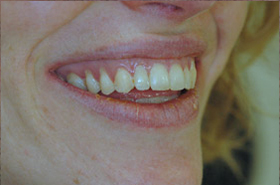 The great thing was that although with some brace systems four tooth extractions would have been required to straighten the teeth we used braces which moved the teeth very gently and quickly into position without the need for extractions. 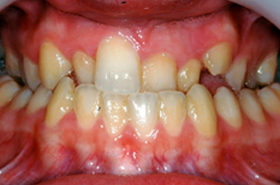 Patient LC – Sometimes patients have their central teeth tipped back and the two teeth on either side sticking out. This is actually quite a common complaint and its easily fixed with clear six month braces. We treated this in less than six months as the patient was going travelling and we needed to complete the case before she went. 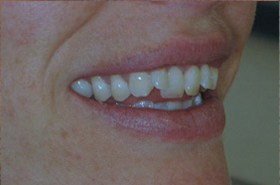 Patient Adele – This patient had what we call a crossbite which means that one of her top teeth was trapped behind the lower teeth. 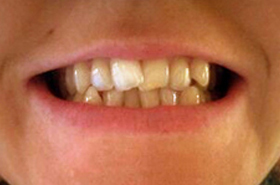 Some people come to us complaining that it looks as though they are missing a tooth. In this case the canine was also sticking out. 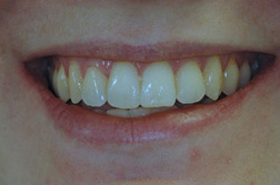 We fixed it with clear six month braces and she was delighted with the result. 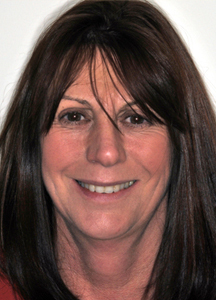 We asked her for a testimonial and she said: “Really happy with the results, care and treatment was fantastic. Would definitely recommend to anyone who is considering getting braces. 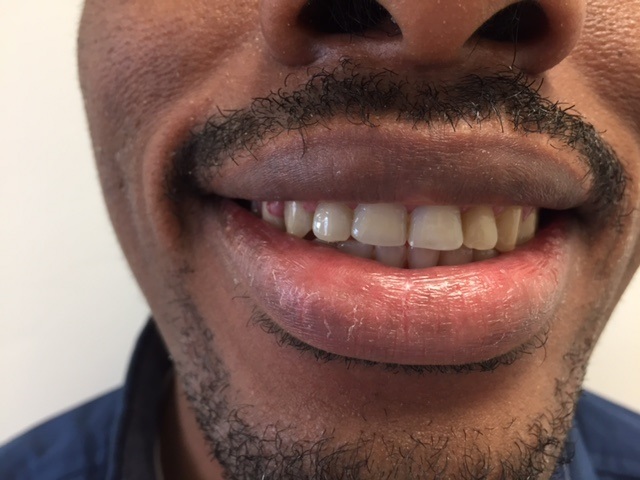 Patient JH – This spectacular result was achieved using clear fixed braces (metal free) using the six month smiles technique. 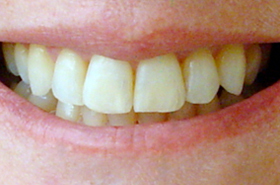 Treatment took just over five months. 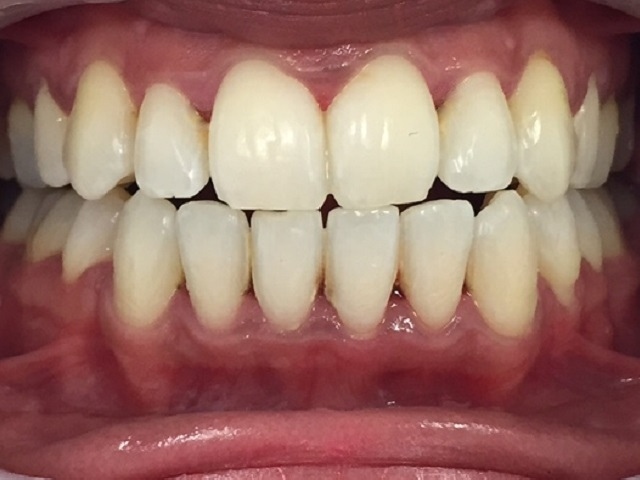 A filling was added to one upper incisor tooth to improve the shape, they were whitened and the patient is delighted with the result. 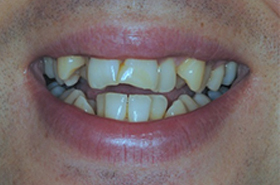 Patient RM – We treated this patient with Damon braces. His teeth were severely crowded but we managed to treat him without having to take out any teeth. 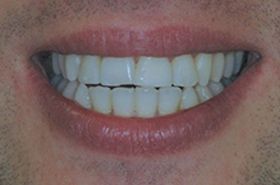 A bit of tooth whitening at the end and he now has a smile to be proud of! 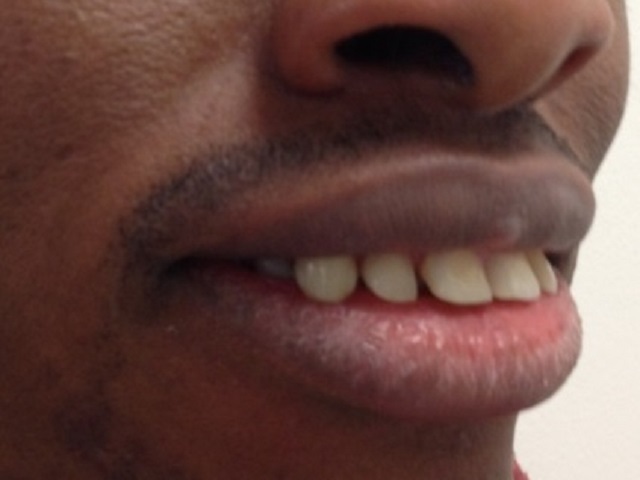 Patient MB – This young patient had a “skeletal” discrepancy as well as irregular teeth. In her case this meant that her lower jaw was set a little too far back compared to her upper jaw. 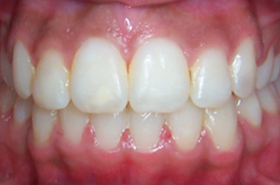 This is a relatively common problem and not only can we fix the teeth but we can bring the jaw forward so that the facial profile is improved. This is exactly what we did for this patient. 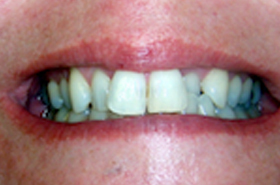 She had a Twin Block appliance initially to bring the jaw forward followed by Damon braces to align everything without having to extract any teeth. 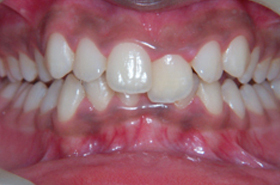 Patient JG – This is possibly one of my most difficult (and most rewarding) cases to date. 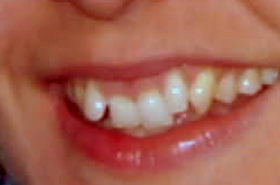 She had what is known as an anterior and a posterior crossbite. 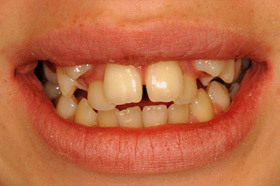 This means that the top teeth were trapped behind her bottom teeth. 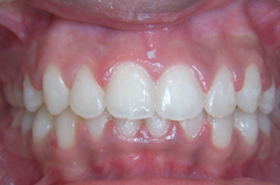 This was fixed with Damon braces. Two of the teeth were also smaller than they should be and were therefore built up in size with a composite filling material. I’m sure you will agree the change is spectacular. 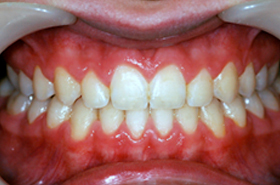 Patient JK – Adult patient treated using “clear” fixed braces. 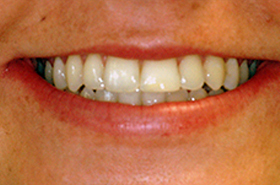 This patient for years lived unhappy with her smile until we told her about the rapid results that were achievable using far less noticeable metal free appliances. 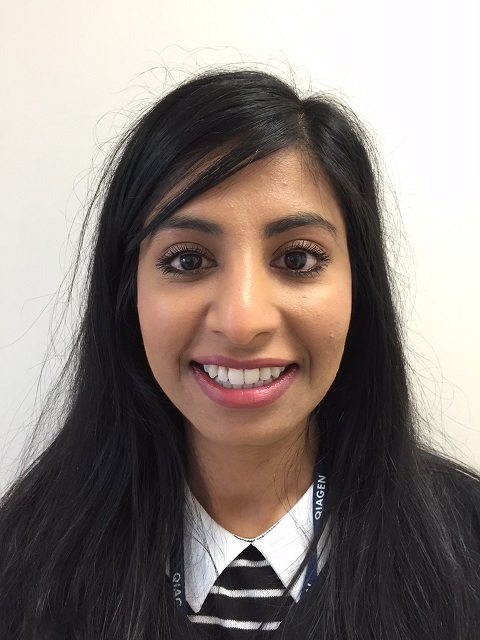 Patient JM – adult patient, unhappy with her smile, saw the results that we achieved with her daughter and asked if we could do anything to help her. The answer was of course yes! 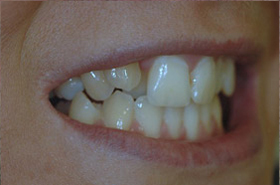 This was treated with fixed braces and took about seven months. 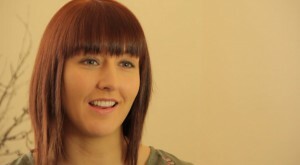 She was delighted with the results and says she cannot stop looking in the mirror and smiling at the result. 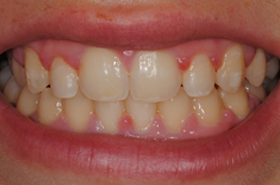 Patient LR – This young girl underwent a course of orthodontics to close the spaces between her teeth. 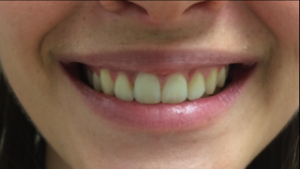 The alternative would have been porcelain veneers but in such a young patient it was felt that a great result would be achieved by moving the teeth together. Judge the result for yourself. 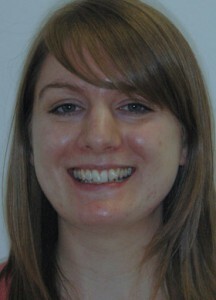 She is delighted with her new smile. 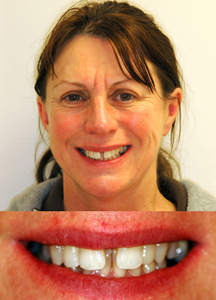 Patient DB– This lady always disliked the gap between her front teeth but never new we could fix it in about six months with clear braces. When she found out she jumped at the chance and you can tell by her smile she is very happy! 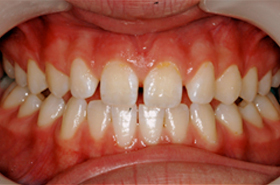 Patient JW – This patient had upper and lower clear braces. 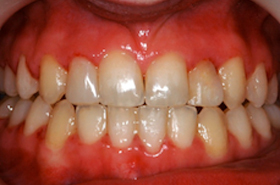 Treatment took about 8 months, no extractions were required. 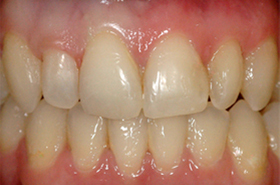 We finished the case with some invisible white fillings and tooth whintening. 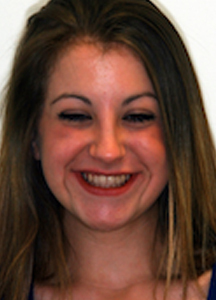 Patient TM – This patient always hated her smile. 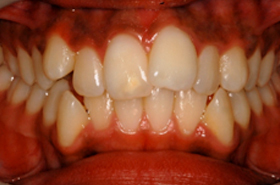 She had tipped back central incisor teeth and protruding lateral incisor teeth. 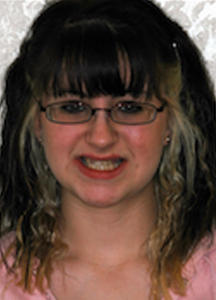 We used clear metal free braces to give her a perfect smile. Treatment took about six months and her comment at the end was “i wish i had done this years ago!”. 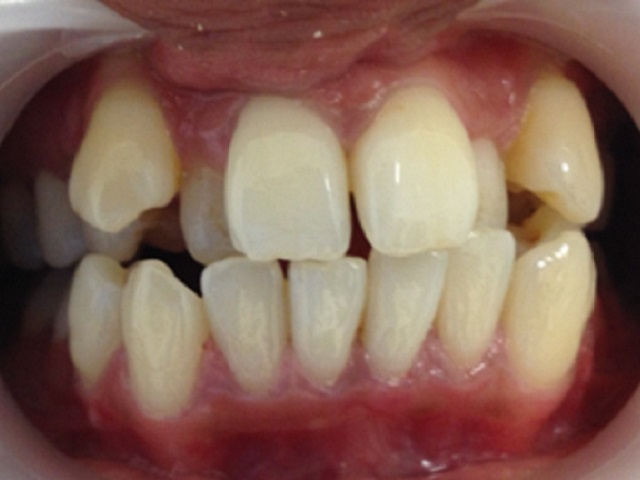 Patient AA – This patient had severe dental crowding and to treat this we needed to make space by taking 4 teeth out. 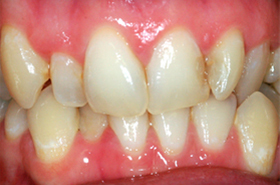 Wherever possible I try to avoid extracting teeth but some cases need them to achieve the best result. 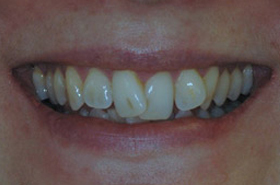 We straightened the teeth and closed the extraction spaces giving a great result. 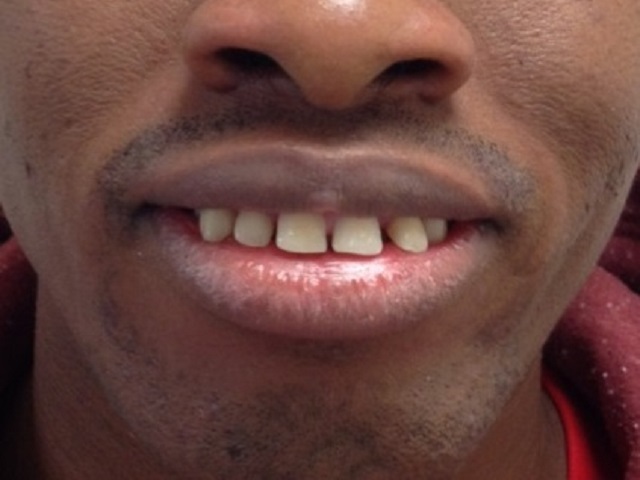 Patient AO – A difficult case where the front teeth were flared out in front of the lower lip. 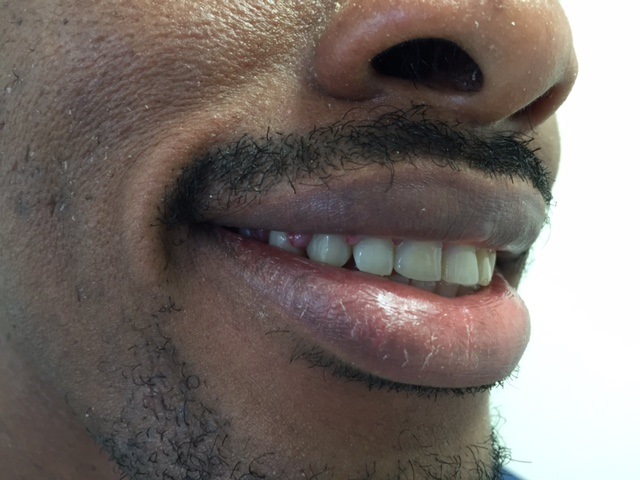 We pulled the front teeth back and closed the spaces which made a massive improvement to his confidence and as you can see completely transformed his smile.